Dr. Shah is one of the most sort after teachers in Greece. His 2 day seminar on “Management of Malignancy, Cancer Cases and Clinical Tips” was well attended by all homeopathic professionals. The delegates learned about the interplay of miasms and hereditary factors in influencing the choice of homeopathic treatments that support conventional medical care for caner. Case studies were presented to demonstrate how to give symptomatic relief to cancer patients by using an individualized approach including looking at the totality of symptoms, the type of carcinoma and occupational / habitual environmental factors. All participants learned new insights into homeopathic protocols for treatment of carcinoma (and associated pathology). At the end of the seminar every delegate left with more confidence and felt better equipped to approach these cases boldly and with increased success. This book is intended to bridge Dr Luc's two books: Achieving and Maintaining the Simillimum and the book due out in 2009--Jung: Delusions, Dreams and Homeopathy, which has been the core material of his latest seminars. The latest findings about potencies, miasms and observations of Hering are fine tuned for clinicians. Furthermore, eleven intra-uterine questions and eleven questions for the homeopath to see if the clinician has the right remedy are explained in detail with clinical examples. In addition, the core delusion is defined and ways of finding it in the clinic. Jung's introduction of extrovert and introvert types, as well as the functions of consciousness, give the homeopath a solid introduction to use these characteristics to know the constitution and temperament of the patient. This is an invaluable guide for any professional in practice. Need Natural Healing Tips - What Is Homeopathy? Homeopathy is the process through which the body can cure itself of illness with remedies that contain minute amount what probably caused the illness to begin with. “Like cures like” is one of the base principles of homeopathic healing. This theory is similar to the way vaccines work. To prevent certain childhood illnesses, a child is given a shot that contains an anti serum derived from the illness itself. This helps the body build up a tolerance on its own and boosts the immune system. All over the world, homeopathy has become the second most preferred method of healing. One distinct advantage of homeopathic remedies over herbal treatments is the homeopathic remedy offers instant results - providing you have taken the right remedy for your affliction. Unlike over the counter drugs and prescriptions, there are no unpleasant side effects with homeopathic remedies. These remedies are safe enough for babies and pregnant or nursing women to use. The remedies will not interfere with any regular medication taken either. 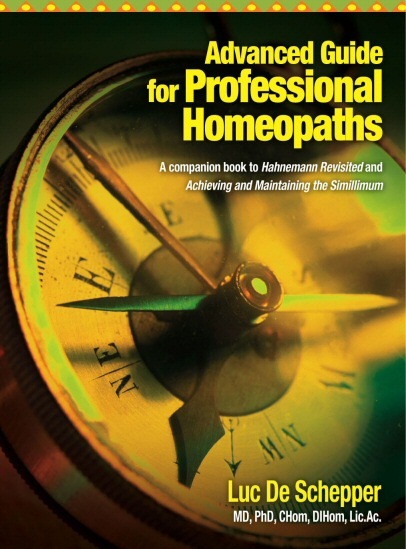 The whole idea of homeopathy for the medication to work with your body to help it cure itself. Most conventional medicines mask the symptoms, or cover up the pain. You take an aspirin, your pain is gone, but the problem is still there. Got a cough? Take some cough medicine to cover up that tickle in your throat, but that does not necessarily mean you are cured of the base cause. Homeopathic medicine treats the illness as a whole, no one symptom becomes singled out and treated. By treating the illness in this manner, the cause itself receives treatment, thus effectively eliminating the illness. Another plus to homeopathic remedies is they are not addictive. As soon as the symptoms stop and you start to feel better, you can stop taking the remedy. On the other hand, should you find that your symptoms are not going away, and then you are probably taking the wrong remedy and should look into using a different one? So, what is the downside to homeopathy? Firstly, trying to find the right remedy to fit your symptoms can be tricky. For example, there is no across the board homeopathic remedy for headaches. To find your remedy you have to look at where the pain is centralized, what were the circumstances that brought on the headache and what makes it feel worse. Every aspect of an illness has to be considered before you can begin to narrow down your options for remedies. Homeopathic remedies are widely varied and it would be impossible for a pharmacy or health food store to contain all of them. There are about thirty or so that are commonly used and these you can usually find easily. However, if your remedy is not one of these, then you might find yourself embarking on a very long search to find it. He is a leading homeopathy manufacturer in India and is also the president of the Central Council of Homeopathy, the apex body overseeing homeopathy colleges. He thought he could leverage his position as president of the council to promote his drugs. His philosophy was simple – managements that wanted recognition from the council would have to buy up products manufactured by his firm Bakson’s Drugs and Pharmaceuticals. And it worked. As many as 37 colleges obtained recognition that way. But nemesis is now catching up with the man. In the charge-sheet filed in a court in New Delhi on Monday, the Central Bureau of Investigation (CBI), CBI has accused SPS Bakshi (55), son of a renowned homoeopath, Dr Kirpal Singh Bakshi, of abusing his official position as the president of CCH, a statutory body constituted under the provision of Homeopathy Central Council Act, 1973 and granting recognition to 37 colleges. The council gets grant-in-aid from Ministry of Heath and Family Welfare. “The extension of recognition was granted to the colleges despite the fact that they did not meet minimum requirements for the bachelor course of Homeopathy,” said the charge-sheet. Bakshi refused to extend the recognition to Homeopathic Medical College, Hoshiarpur (Punjab), because Dr SP Anand, secretary of the college had refused to purchase medicines worth Rs 5 lakh manufactured by Bakshi’s company, the agency alleged. The CBI during the probe found that the said college met all the necessary pre-conditions for obtaining the Council’s recognition. On the other hand, Solan Homeopathy Medical College was granted permission despite not fulfilling the mandatory minimum requirement. It was later found one of the members of the college had bought drugs worth Rs nine lakh from Bakson’s Drugs and Pharmaceuticals. A few years ago, Bakshi was reportedly arrested by Kolkata police on charges of selling homeopathic medicines mixed with steroids, without a licence from the state drug control directorate, in his clinic in Kolkata. CCH vice president Dr Ramjee Singh and secretary Dr Lalit Verma has been named a co-conspirator in the recognition scam. Bakshi’s Bakson’s Drugs & Pharmaceuticals itself runs 30 super specialty homoeopathic clinics throughout the country.